This week on the Ingredient Watch List, I wanted to highlight the use of talc. Also known as talcum powder, this is another ingredient that many people consider to be “completely safe”, while it actually carries many risks. Read on and learn more. What is talc used for? 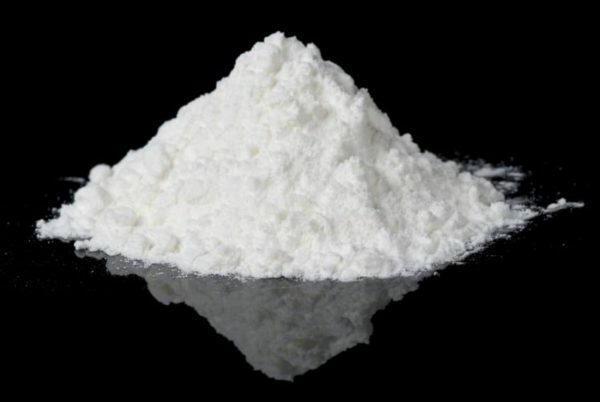 Talc (Magnesium Silicate) is widely used in the cosmetics industry in many skin care product formulations. One of its most popular uses is for moisture absorption, which explains why most baby powders are nearly 100% talc. For years, women have also been advised to use talcum powder to keep themselves feeling “fresh and clean” from certain types of body odor. Additionally, it is used as a filler in various powder cosmetics, such as foundations and eyeshadows. Using pigments alone typically results in very stark colors, and since talc is quite inexpensive, cosmetic companies “dilute” their products with it. Frighteningly, on a chemical level talc is nearly identical to asbestos. However, many cosmetic companies – as well as the Food and Drug Administration – feel it is safe for use, despite a 1993 report by the National Toxicology Program stating that talc caused tumors in animals. Women who use talc around their genital area are 40% more likely to develop ovarian cancer, as the particles can move about the female reproductive system and typically become lodged in the lining of the ovaries. Lung cancer is also a serious risk that accompanies the use of talc. In fact, talc miners have shown increased rates of lung cancer over long periods of time. Inhalation of the powder also poses a serious health risk for babies, and can cause life-threatening or even fatal complications, such as pneumonia and cancer. Currently in the United States, cosmetic-grade talc is unregulated by the federal government. If you're as concerned about the use of talc as I am, contact the FDA or your local political representatives and request that they review the facts. You can also lower your risk for exposure by always carefully reading labels on the products you use, and if you discover talc in your products, be certain not to inhale the powder when at all possible.